Today at the Television Critics Association Press Tour, PBS KIDS announced that this fall, the star of the classic series FETCH! WITH RUFF RUFFMAN returns in THE RUFF RUFFMAN SHOW, an all-new short-form animated digital series designed to help kids ages 4-8 learn core science concepts through videos, game-play and hands-on activities. The PBS KIDS series stars canine host extraordinaire Ruff Ruffman, who, along with his assistants Blossom and Chet, answers questions from real kids, takes on challenges and learns the value of perseverance—all while modeling science inquiry skills. All 20 videos of THE RUFF RUFFMAN SHOW will be available September 28 on PBS KIDS digital platforms, including the free PBS KIDS Video App and pbskids.org. The videos will roll out on the PBS KIDS YouTube channel starting on September 28, and segments from the series will air on the new PBS KIDS 24/7 channel and live stream this fall. 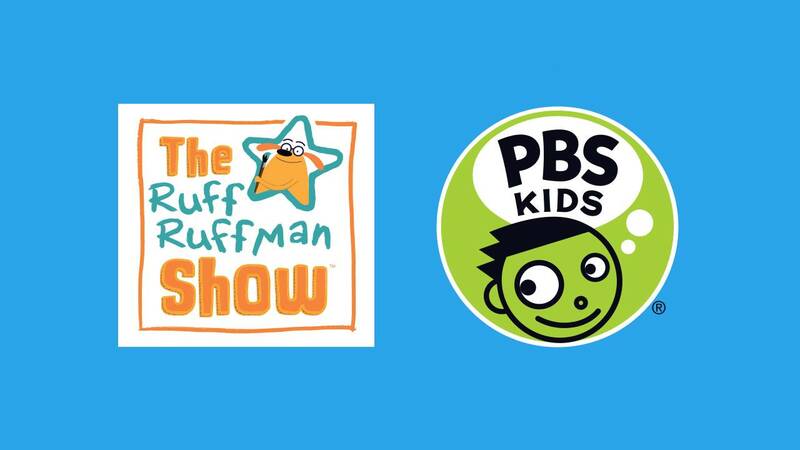 PBS stations will also engage families with the content in underserved communities across the U.S.
Related games will be available on the free PBS KIDS Games App and pbskids.org, and a RUFF RUFFMAN app will be available on a variety of tablet and mobile devices. One of the RUFF RUFFMAN games, Fish Force, will offer hundreds of possible levels and features that can be tailored to the child, based on performance and behavior. Developed in collaboration with adaptive-learning company Kidaptive, Fish Force is the first of many new adaptive games for young children that PBS KIDS will roll out in the coming months. THE RUFF RUFFMAN SHOW was developed as part of the Corporation for Public Broadcasting (CPB) and PBS Ready To Learn Initiative with funding from the U.S. Department of Education. Ready To Learn is a federal program that supports the development of innovative educational television and digital media targeted at preschool and early elementary school children and their families. THE RUFF RUFFMAN SHOW: Ruff Ruffman is voiced by five-time Emmy®-nominated actor/writer Jim Conroy, the voice of every character in the Ruff Ruffman family since its debut in 2005. Carol Greenwald, Executive Producer; Marcy Gunther, Senior Producer; Bill Shribman, Digital Executive Producer; Glen Berger, Script Writer. PBS KIDS, the number one educational media brand for kids, offers all children the opportunity to explore new ideas and new worlds through television, digital platforms and community-based programs. Kidscreen- and Webby Award-winning pbskids.org provides engaging interactive content, including digital games and streaming video. PBS KIDS also offers mobile apps to help support young children’s learning. The PBS KIDS Video app is available on a variety of mobile devices and on platforms such as Roku, Apple TV, Amazon Fire TV, Android TV, Xbox One and Chromecast. For more information on specific PBS KIDS content supporting literacy, science, math and more, visit pbs.org/pressroom, or follow PBS KIDS on Twitter and Facebook. WGBH Boston is one of America’s preeminent public broadcasters and the largest producer of PBS content for TV and the Web, including Frontline, NOVA, American Experience, Masterpiece, Antiques Roadshow, and Arthur, as well as other children’s, primetime, and lifestyle series. WGBH also is a major supplier of programming for public radio, and a leader in educational multimedia for the classroom, supplying content to PBS LearningMedia, a free national broadband service for teachers and students. WGBH is a pioneer in technologies and services that make media accessible to those with hearing or visual impairments. WGBH has been recognized with hundreds of honors: Emmys, Peabodys, duPont-Columbia Awards and Oscars. Find more information at wgbh.org.